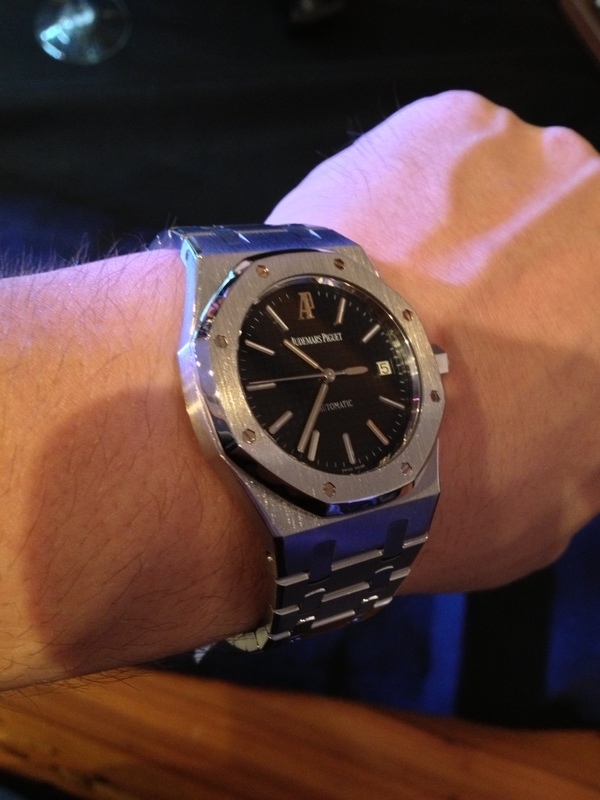 TimeZone : Audemars Piguet » Another Addition .. This time on the classic side, acquired a Royal Oak 15300 after some time deciding ! I thought it would be smaller, but man this thing wears really nice, and bigger than I expected (bigger than the Jumbo) !! Wanted a Navy dial, however they are becoming increasingly hard to come by, then the white dial was next on my list.. WHen it came down to it, I figured i'll go black as it's just classic in every way. Enjoy the Holiday's guy's ! PS - In this pic/angle it makes the piece look a little small or like my wrist is really big.. Just an illusion, looking at this piece dead on my wrist the lugs come to the end of my wrist on both sides! Previous Topic: My First AP...I Went All Out!! Next Topic: Down To Three !